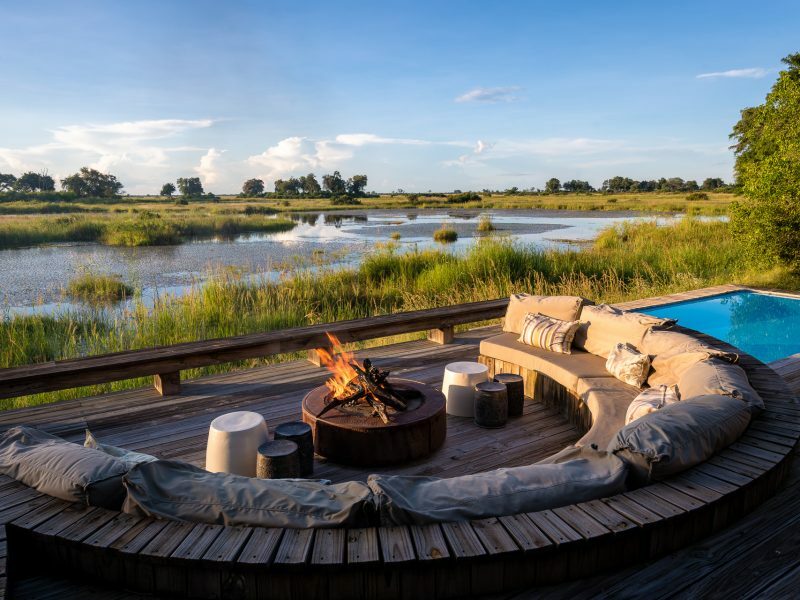 Named for Scandinavian royalty, this stylish camp overlooks the oxbow-shaped Kings Pool Lagoon and Linyanti River system. 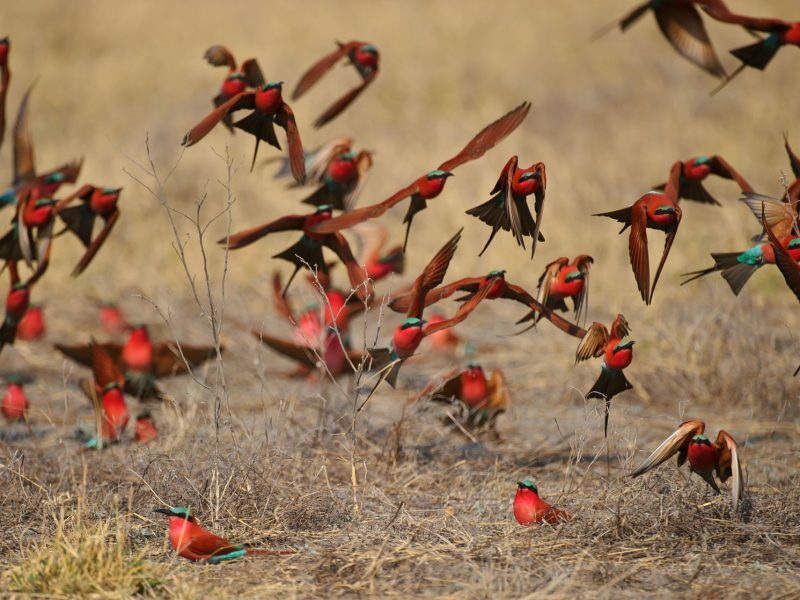 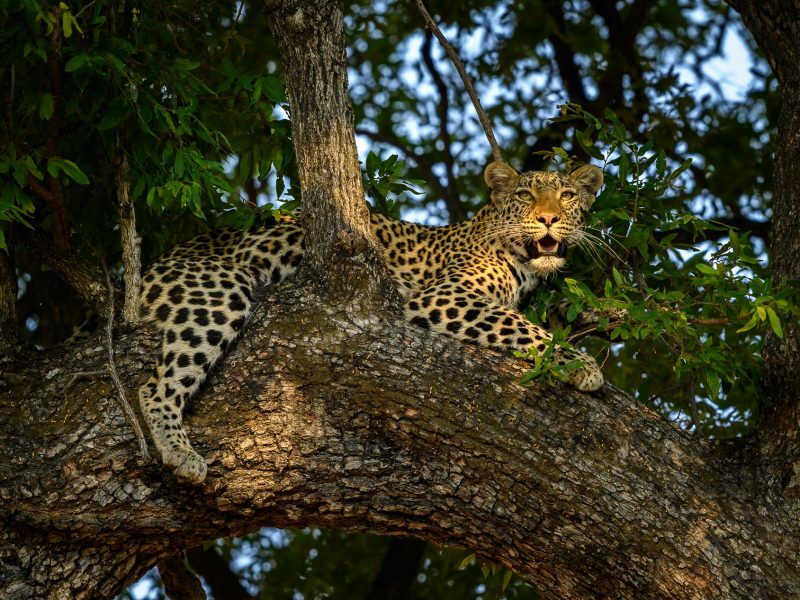 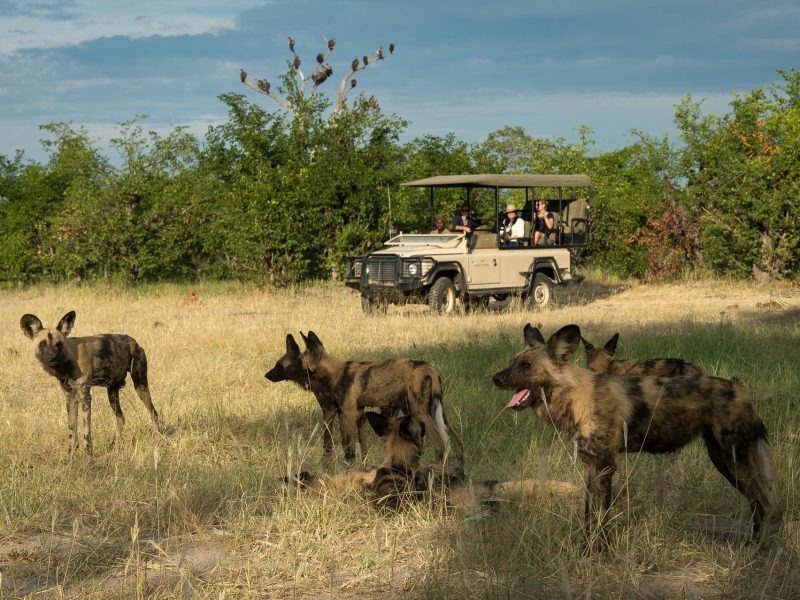 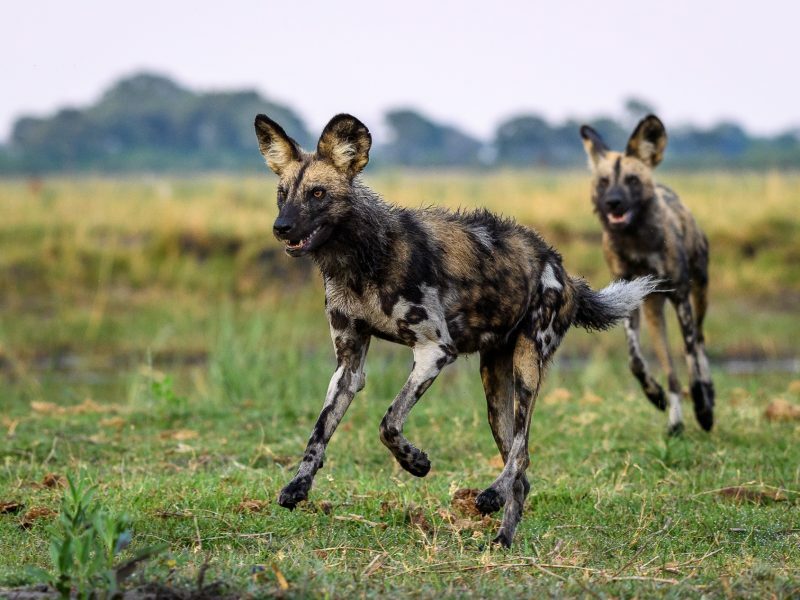 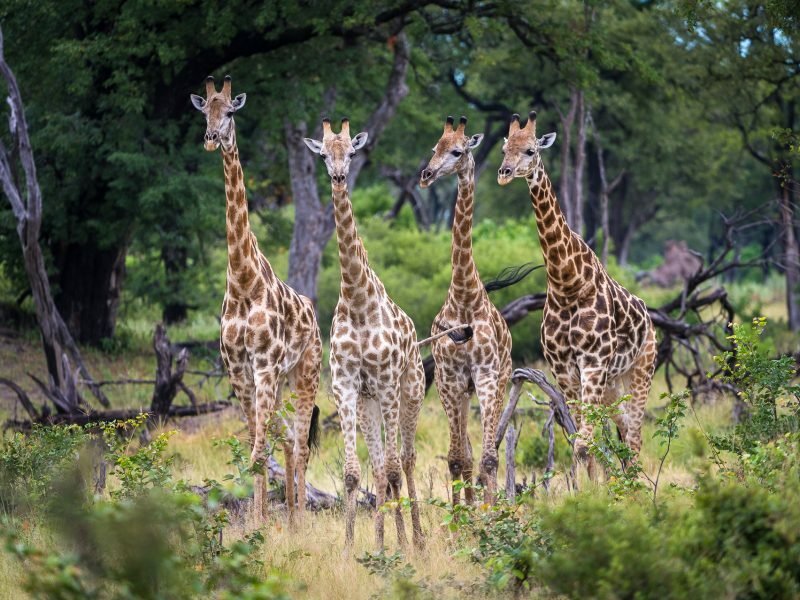 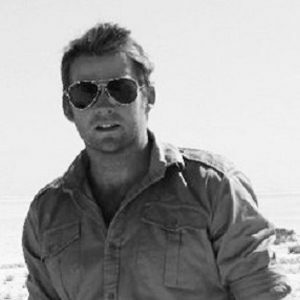 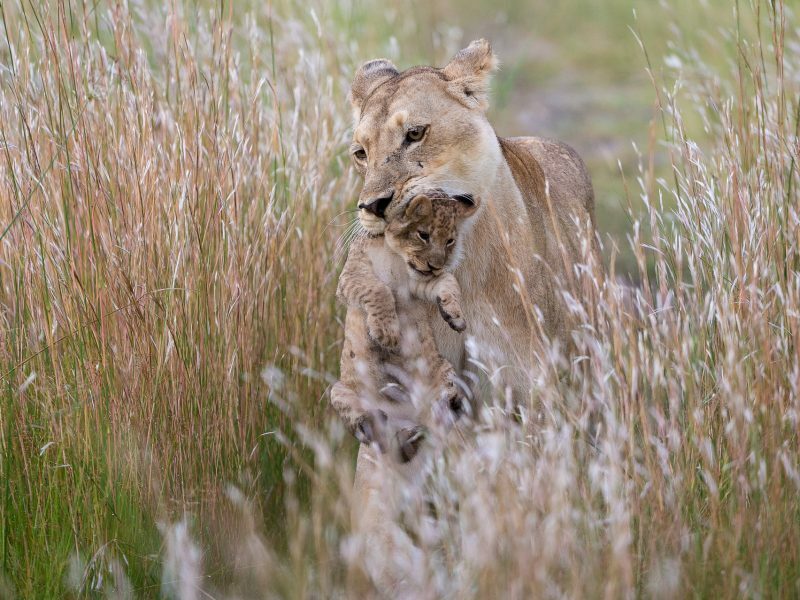 Activities include day and night game drives, walks, and nearby hides, ideal for photographing birds and wildlife. 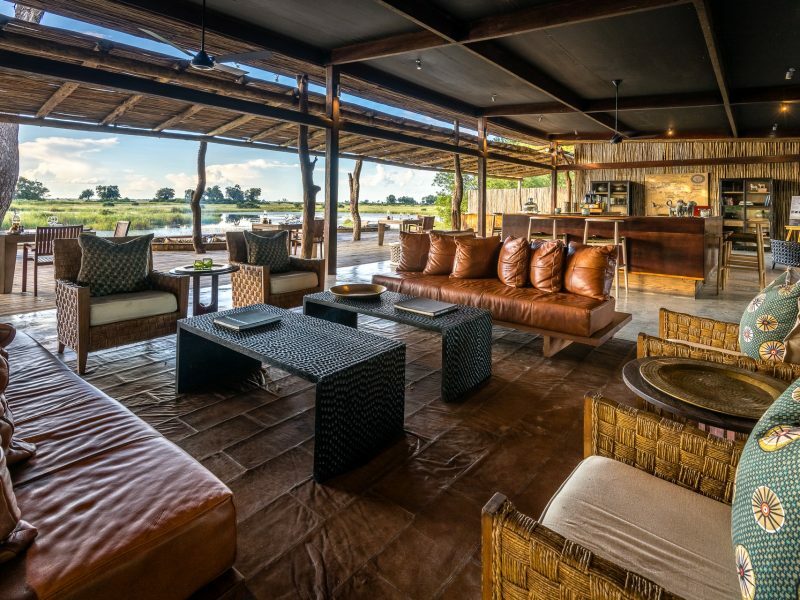 In the dry season, guests can spend their siesta watching game come down to drink at the unique underground hide, where the water is at eye level. 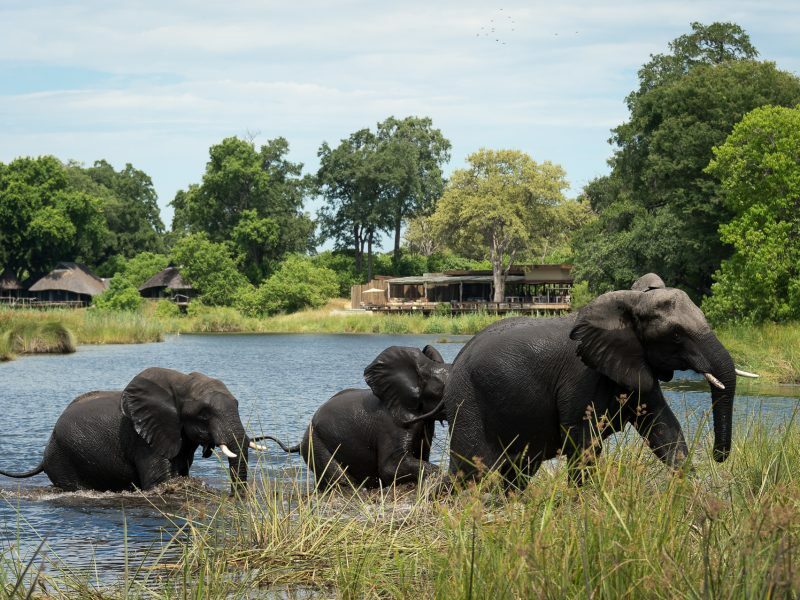 Seeing elephant feet and trunks almost within touching distance while safely inside is an experience that transcends that of an ordinary safari. 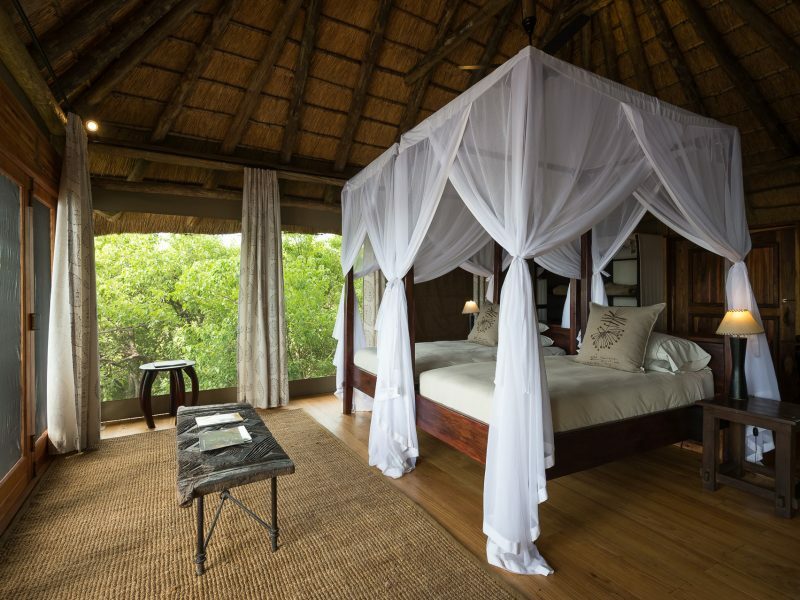 Nine well-appointed rooms (including a family unit) of canvas and thatch each have a veranda with private plunge pool and thatched sala soak up the views. 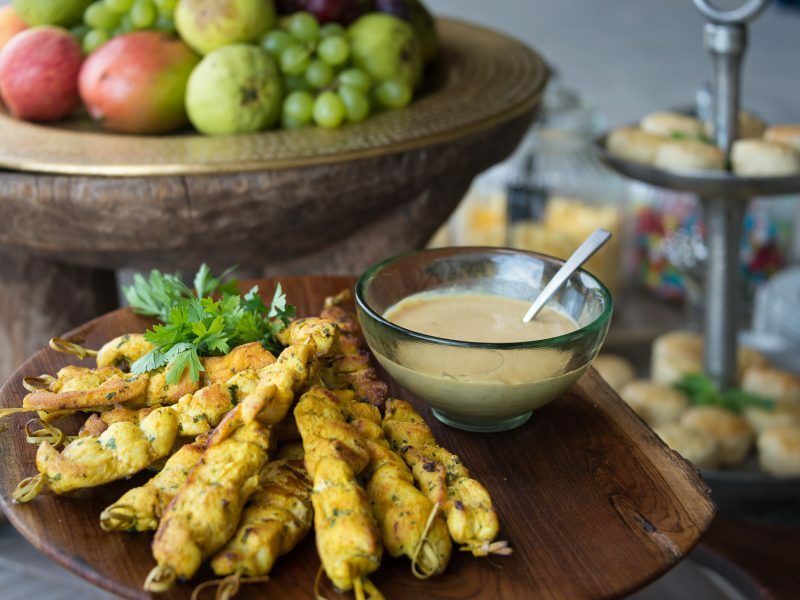 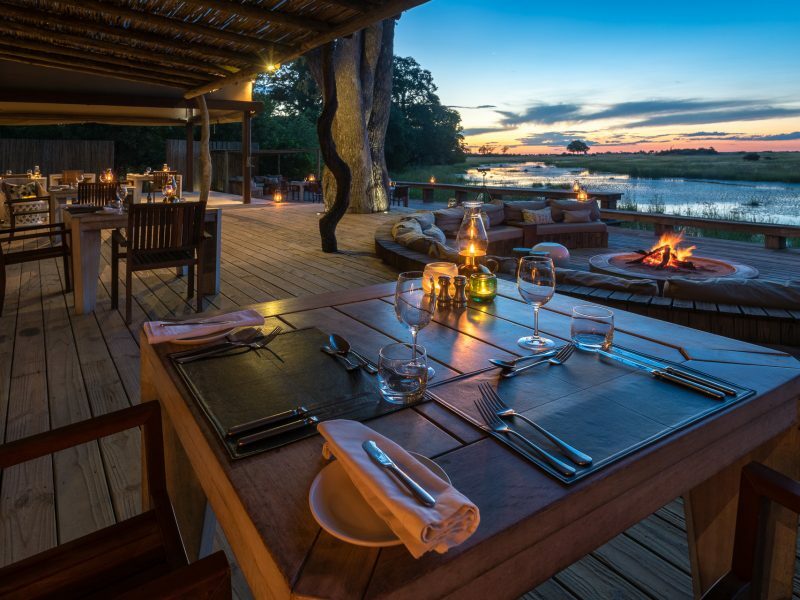 The main areas, set on expansive decks, include a pool and an open-air ‘kgotla’ (boma) for dining under the stars. 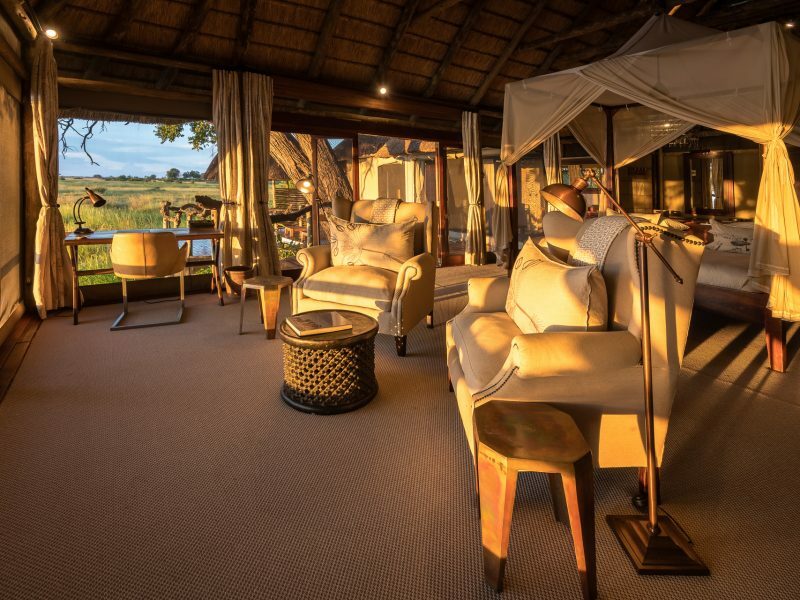 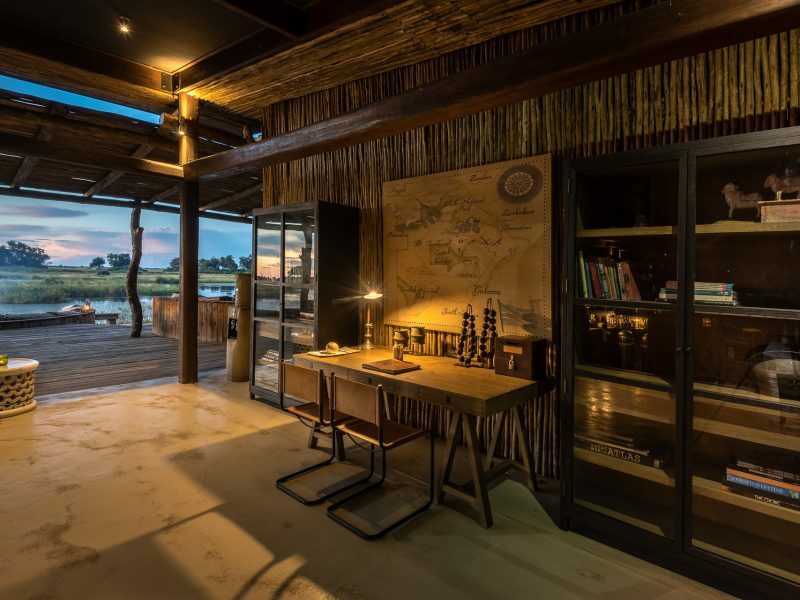 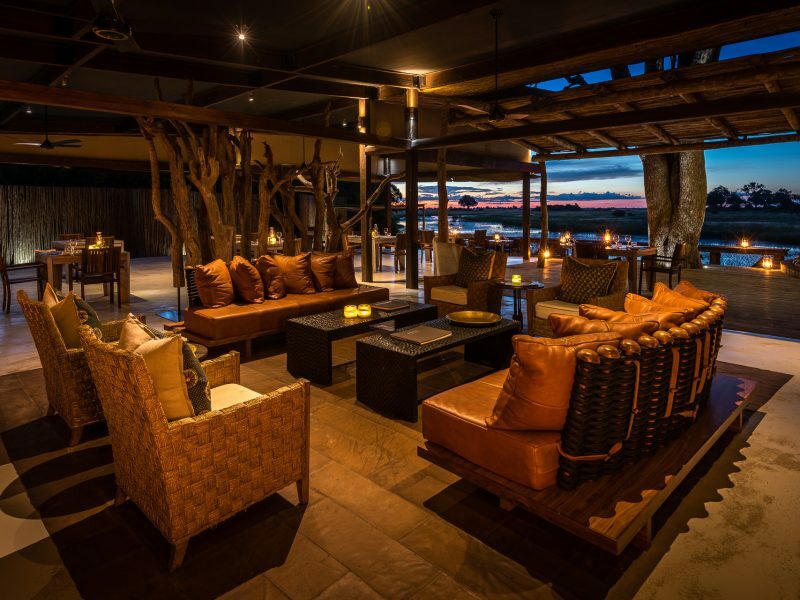 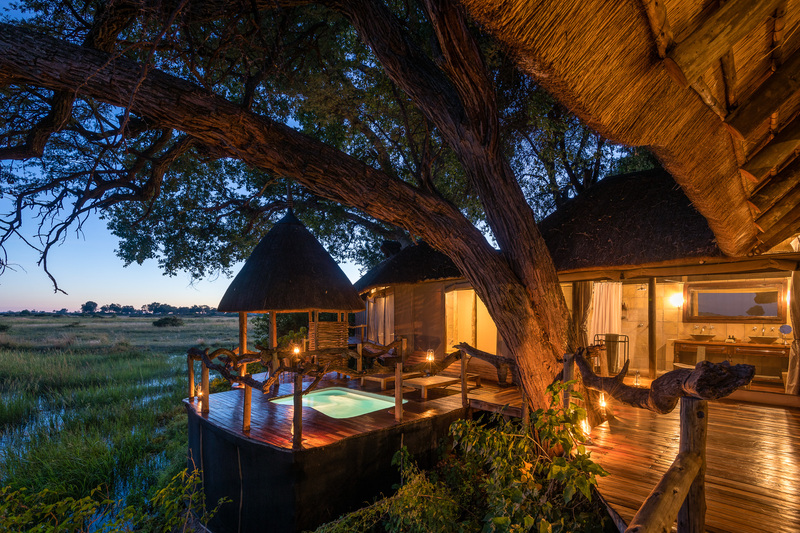 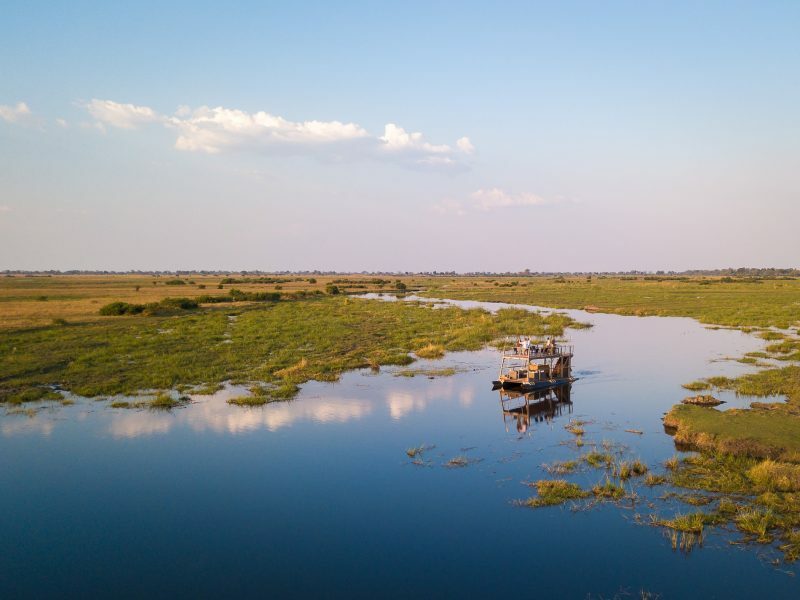 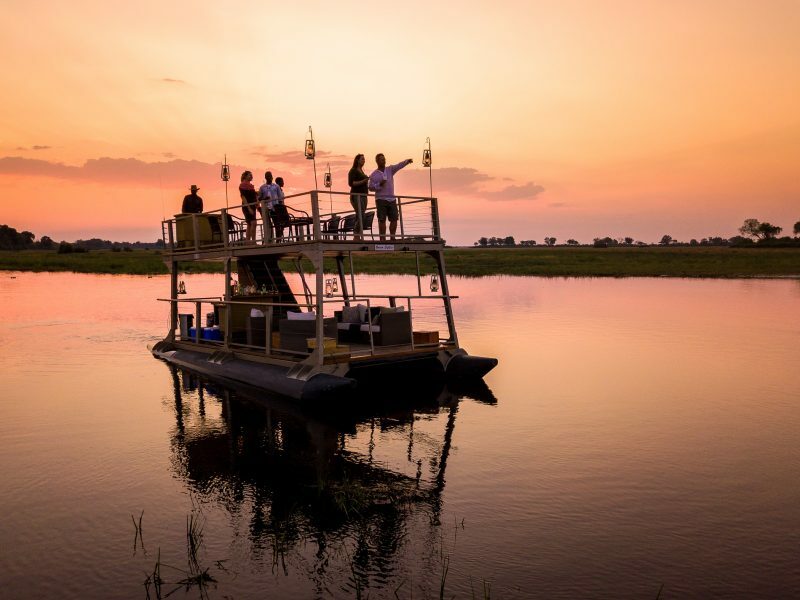 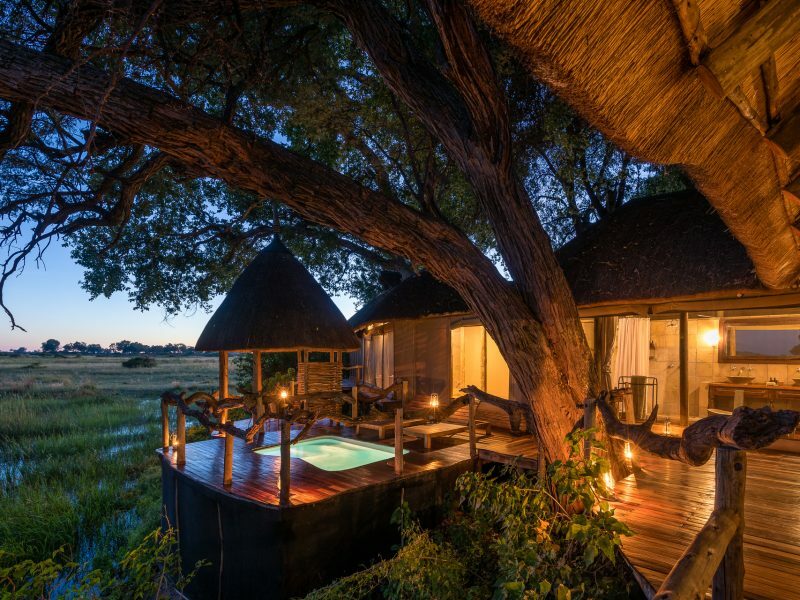 Kings Pool Camp is 100% solar powered, and its location within Botswana’s “elephant corridor” means it is the centre of elephant conservation initiatives. 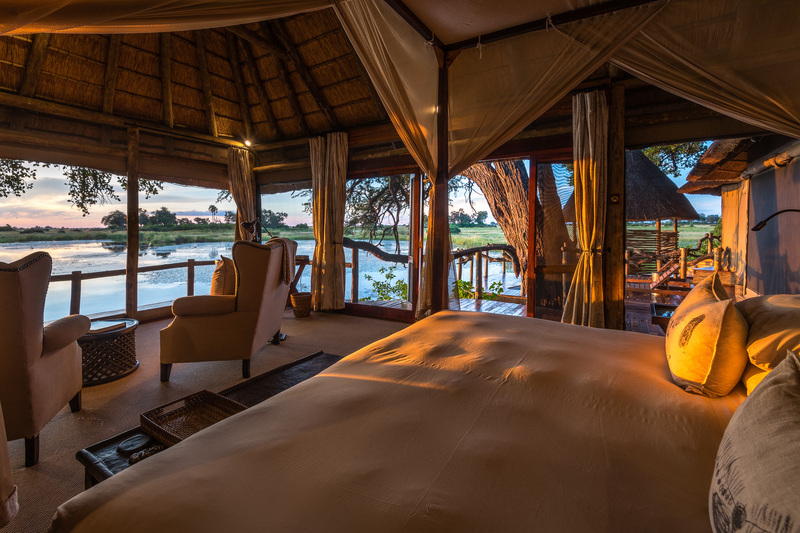 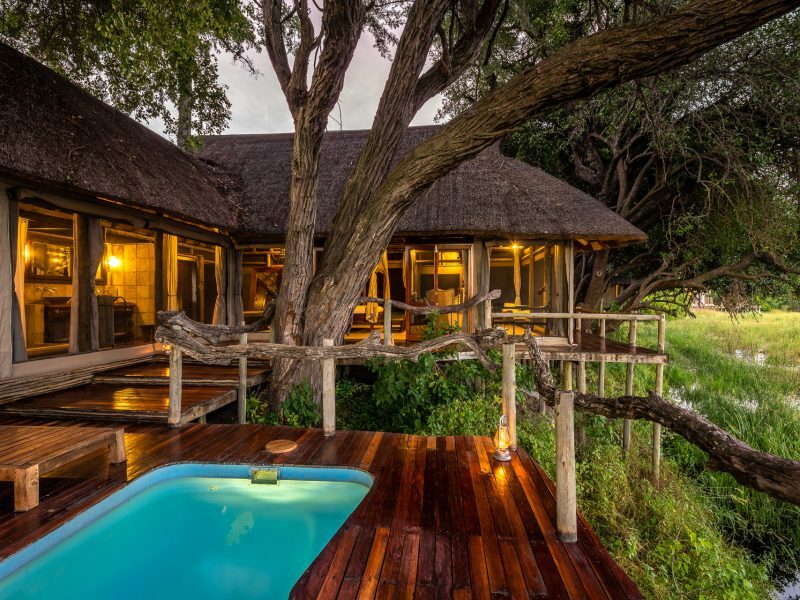 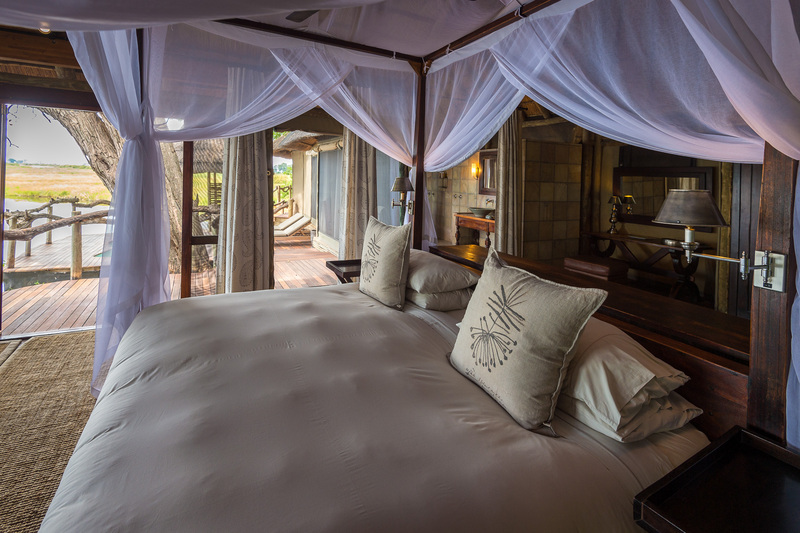 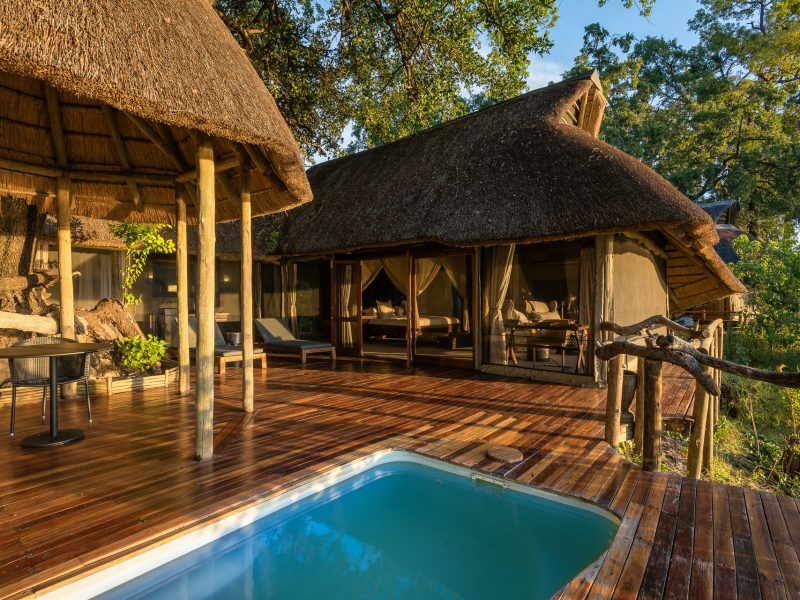 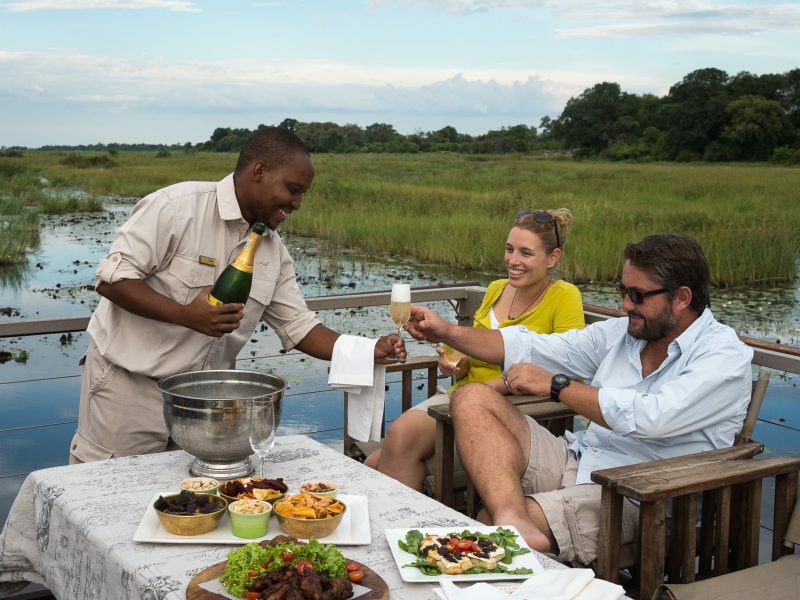 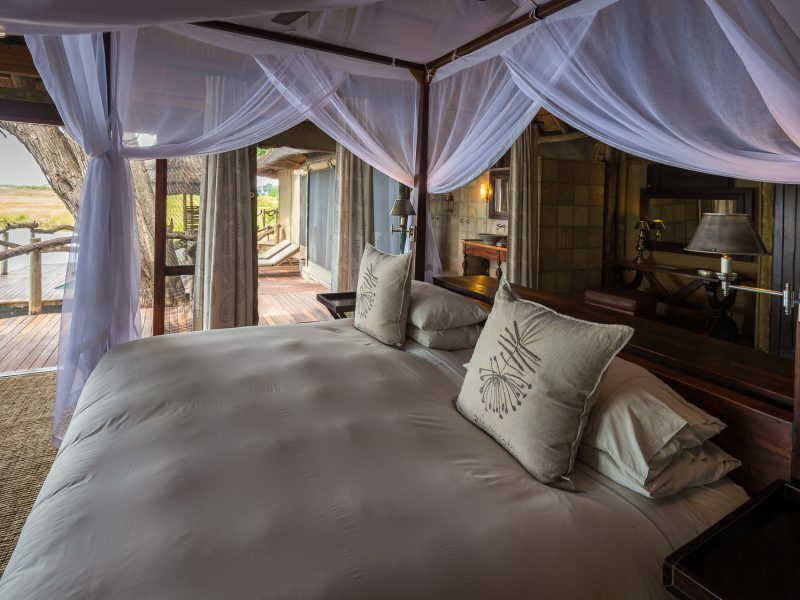 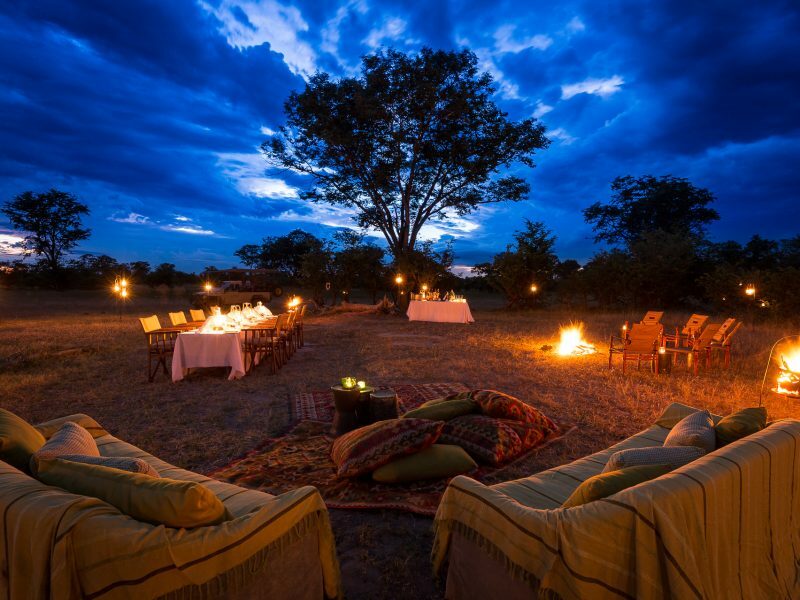 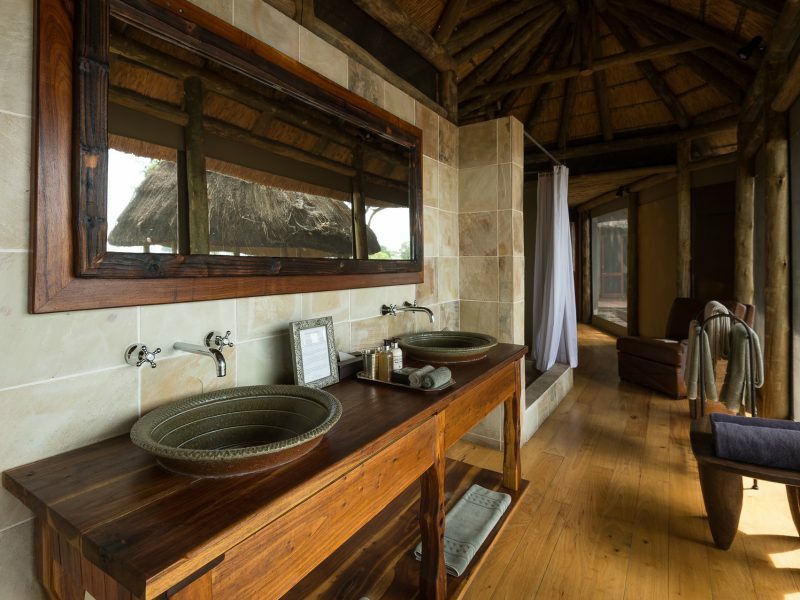 – Kings Pool Camp is a Wilderness Premier Camp situated in the Linyanti concession on the Linyanti waterway. 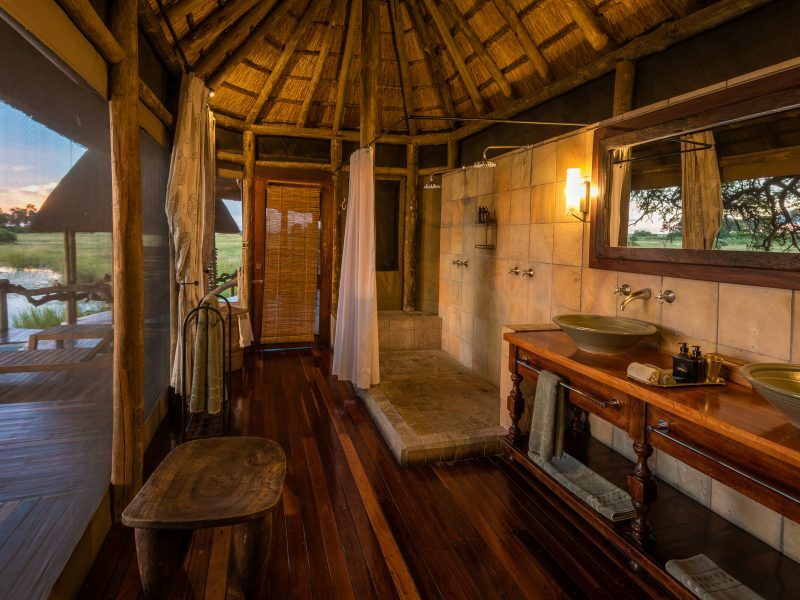 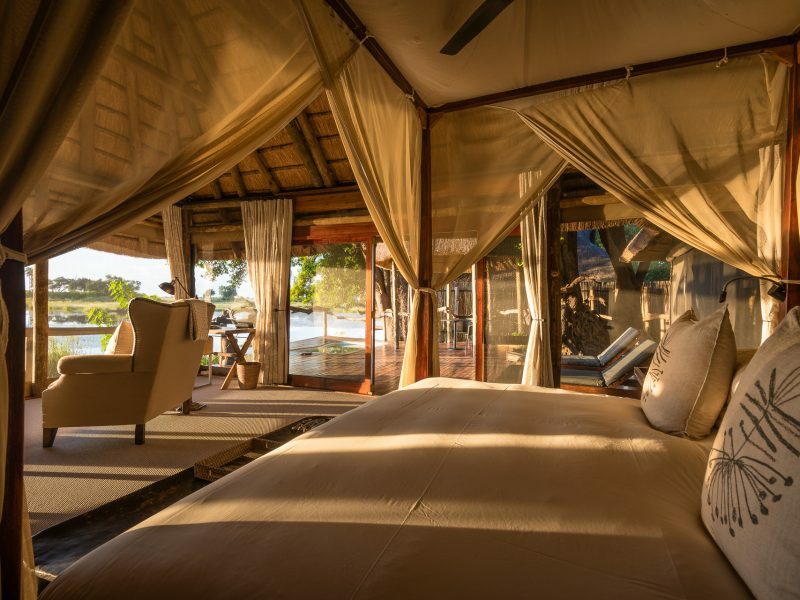 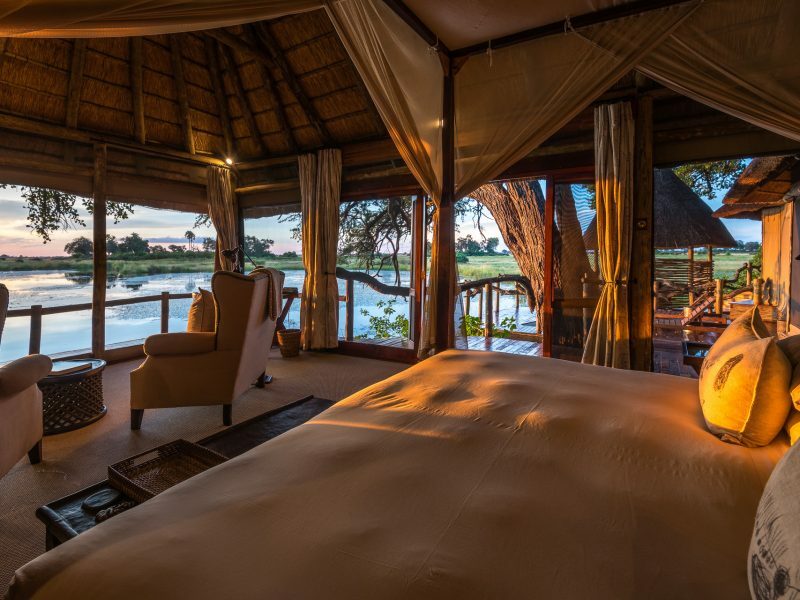 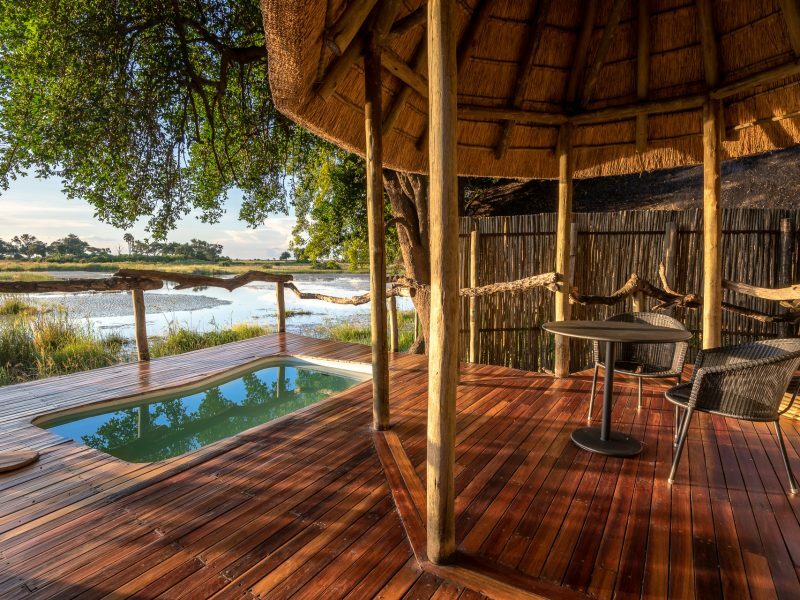 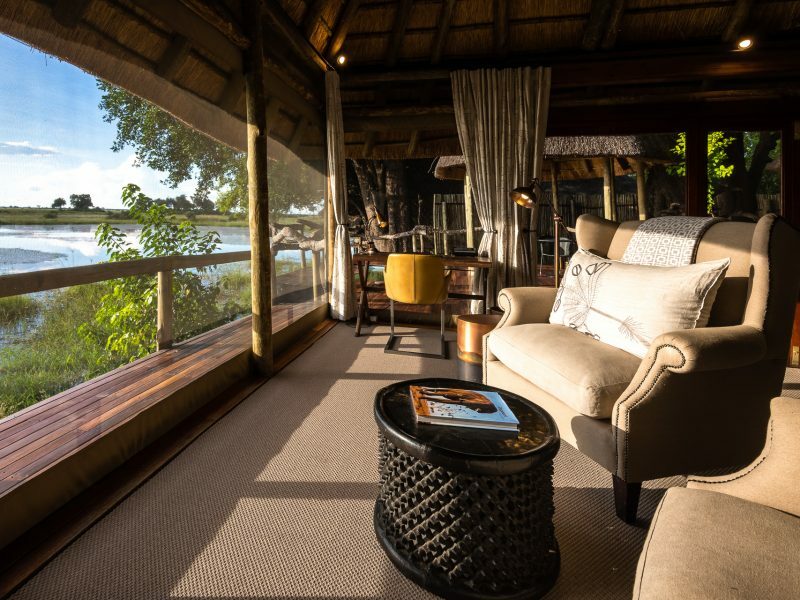 Walking into the camp initially you will notice the water features on either side of the entrance as well as the open plan wooden decking with views right onto the Linyanti. 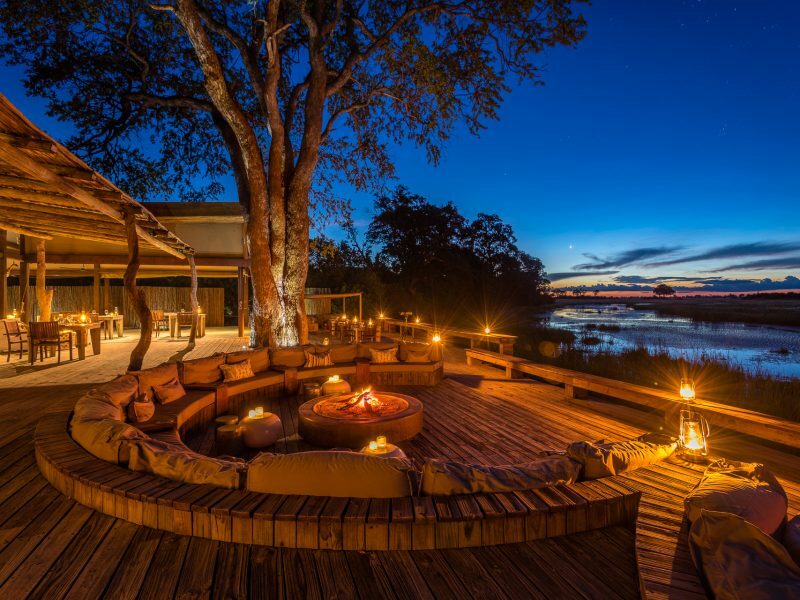 There are comfortable, semi-circled shaped lounges that surround the two firepits overlooking the river. 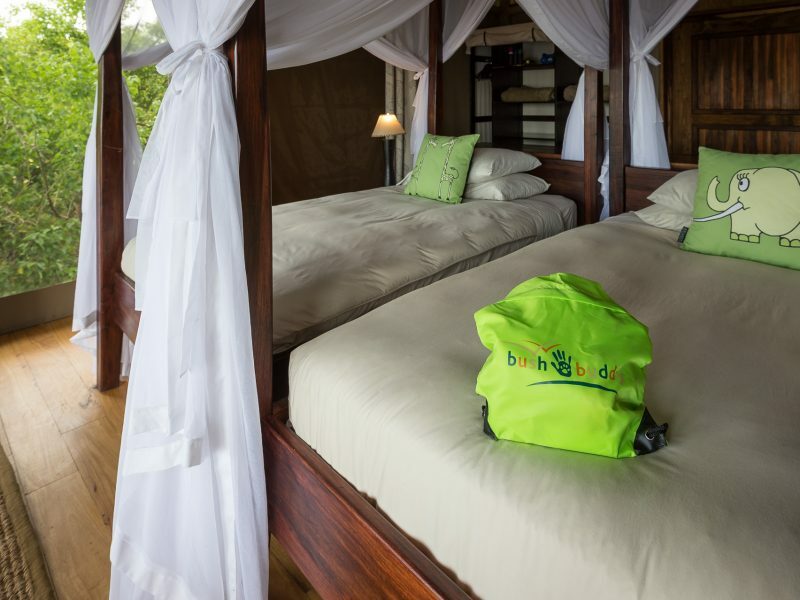 Rooms are very large with amazing views and all the bells and whistles required for a luxury experience. 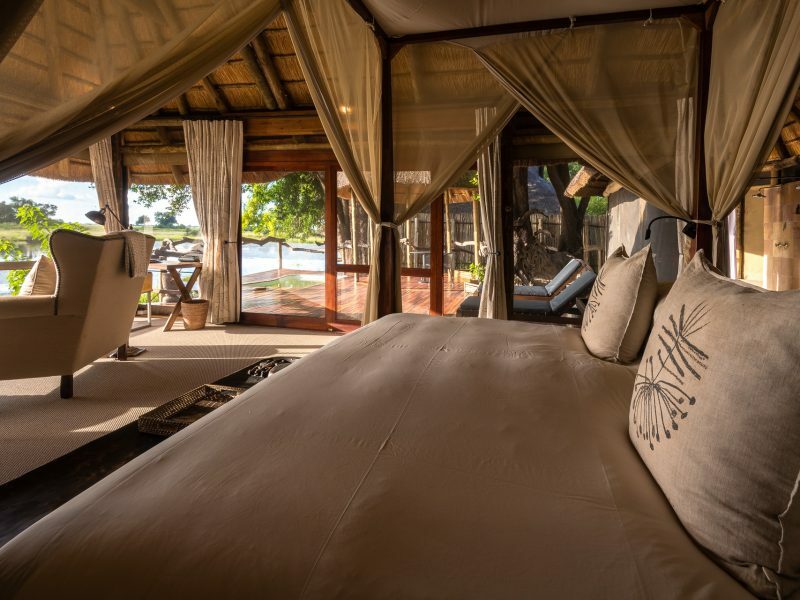 Large outside balconies that include a small lunch deck, an outdoors shower place, and a private plunge pool are found in each room. 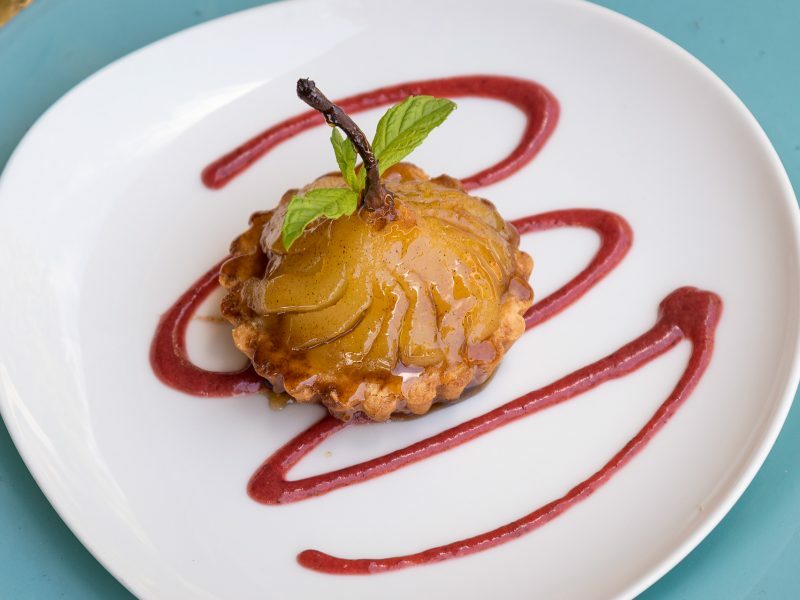 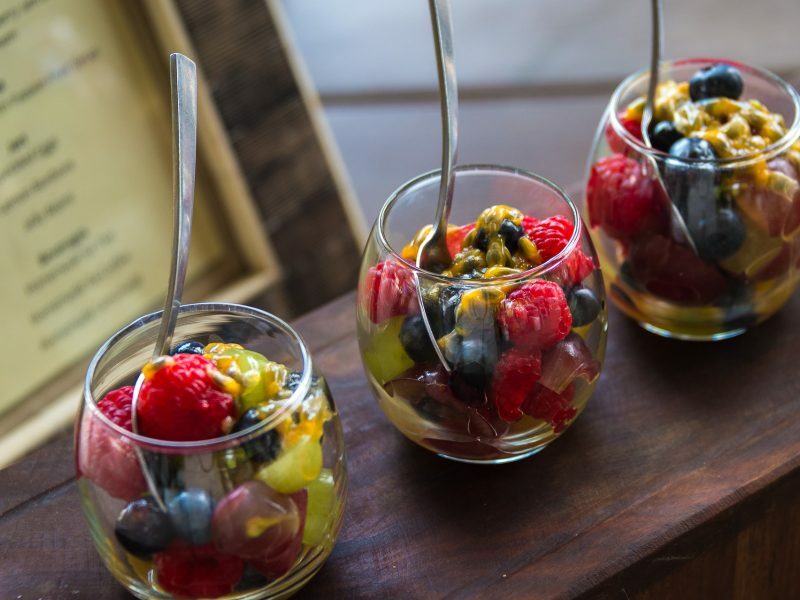 Being a premier camp, food is of the highest quality. 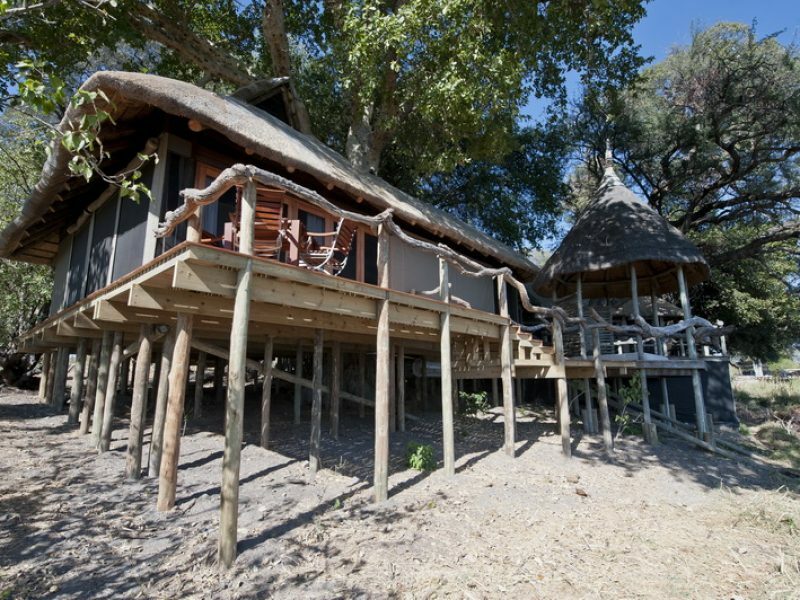 Down to be redone at the end of 2018, we are excited to see what the new camp will look like!